When it comes to key performance indicators, there are the obvious and then there are some that are more obscure. You want to be tracking the right metrics otherwise you might be making decisions based on misleading information. Here are eight inbound marketing KPIs you need to be focusing on in 2018. When it comes to social media, many clients are more concerned with vanity metrics such as the number of likes and shares. But it's not about the amount of engagement your post gets. Sure, people might be commenting and sharing your post but how many of them are actually clicking through to your website and reading your content? In early 2018, Facebook announced that they were changing their algorithm because they wanted its users to have 'more meaningful interactions'. There are one too many companies chasing shares to boost their social media reach. But unless your sole goal is to extend brand awareness, you want to get people to come to your website instead and the best way is to share interesting content that makes them want to click your links. Instagram - an average of 1.66% across all industries with non-profit and higher education performing significantly higher than the rest. Facebook - an average of 0.17% for all posts across all industries and 0.9% for Facebook ads. Twitter - an average of 0.05% across all industries. But Twitter is mainly used as a broadcasting channel rather than engagement. Frequency of posts seemed to have an impact on engagement, but it varied across industries and social media platforms due to their different algorithms. But the general rule still applied: post often but not too often because you might be viewed as spam. Try and find a balance. Does your social media post relate to the content you've linked it to? Are you using a variety of media in your posts aside from images (e.g. a video in one, a poll in another etc)? Is the message on the social media post too distracting or uninteresting which might be hindering click-through rate? Are you using the appropriate tone of voice? The best way to attract your audience's attention isn't just to post relevant content - you also have to speak like them. You'll already know how important SEO is when it comes to inbound marketing. When a customer enters a query into a search engine, the engine gives them a list of answers and you want to be at the top of that list. Right? Actually, you need to be in the answer box or the rich snippet because that's the link the customer is most likely to notice and click on. But how can you do that? 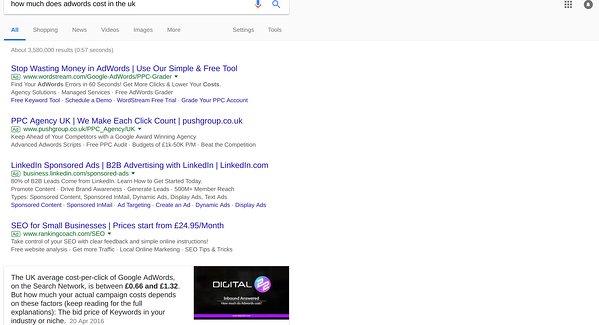 If you Google "How much does AdWords cost in the UK", you'll see that a post we've written will come up in the rich snippet box. We did this by prioritising giving the answer and using a few simple technical SEO tricks. But the main thing was to put UX as absolute paramount. By answering the question in the first sentence, we made sure that the reader got what they searched for instantly. If they didn't click on the link after seeing the answer box, then they probably weren't someone we needed to target anyway. But if they did click through, they'd get their answer PLUS a list of factors that contributes to the cost of AdWords. It's additional information that our target audience would probably want to know, which would entice them to scroll down, read on and even click on the CTA. Measuring this is very simple - all you need to do is track the number of rich snippets your targeted keywords hold and monitor how many click-throughs you've gotten to your site. You'll notice when a blog or page has earned a rich snippet because views will jump massively. A successful blogs needs views. Without an effective SEO strategy, you won't rank very high on search engines so you won't get very many click-throughs to your website. And hence, your organic views will be low and so will your blog conversions. Ensure that your prospects and leads are provided with every opportunity to be converted into a customer. Longtail keywords are a great way to do that. If you blog about the topics and questions your personas are searching answers for, you're more likely to be engage them into handing over their contact details. It's important to have an epic and eye-catching Call-To-Action because it'll entice your customers to click on it. And why does this matter? Because you want your customers to download your content. It's a chance for you to gain their contact details so you can nurture them through the funnel via emails. It's also important for current customers as you want them to be loyal to your brand and turn to you time and time again. Is it the format of your CTA? Would a simple button, different colours or an image work better? Are you using action words such as "Improve Your Results Here"? Does the text in the CTA reflect what your lead will be downloading? So your Landing Page is up and running, it's beautiful and follows all of the best practices. But all of that's no good if it's not actually converting any of your customers. No matter how much traffic it gets or how beautiful the layout is, a Landing Page is useless if you're not generating leads from it. Monitor your conversion rate by continuously A/B testing this area. Try changing just one thing at a time, such as the colour of your button or making the written content more persuasive, and see what happens. 6. E-Shot Emails: Are People Engaging? Many people see e-shot emails as annoying or too 'salesy', but email marketing is actually a powerful tool that can encourage your audience to engage with your content and help you nurture them along their Buyer's Journey. That's why you need to fashion your e-shot emails in a way that make your customers want to click and read them. A relevant, eye-catching email headline, appropriate images and compelling content are all great ways to do this. You can measure whether or not your e-shot emails are working by monitoring various metrics including open rate, click-through rate and conversion rate. 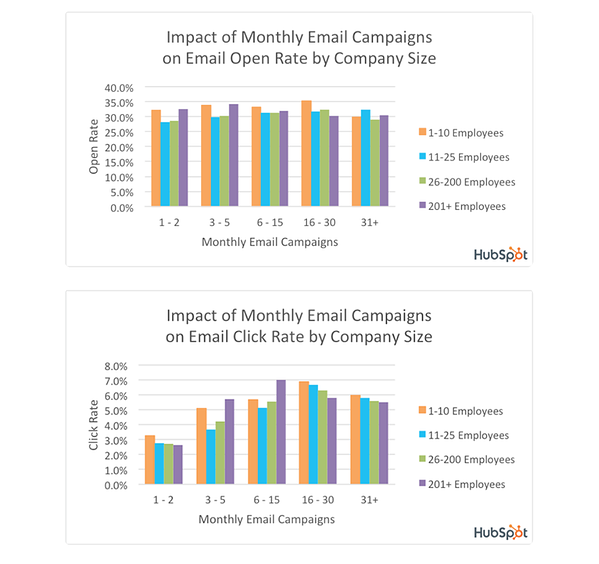 When it comes to how many email campaigns you should be sending, there is no right or wrong answer but the marketing experts at HubSpot recommend between 16 and 30 campaigns a month (though we advise segmented recipients as much as possible). Companies that follow this see an average open rate of 32.4% and median click rate of 6.5%. However, you should adjust the number of emails you send, depending on the size of your company. Also, to improve open rates, continuously conduct A/B tests in order to improve this performance. We mentioned before that email marketing is a powerful and important tool. Automated email workflows are something you should already be using because they ensure that your contacts are encouraged down their Buyer's Journey as opposed to sitting dormant in your marketing database. Similar to your sales metric, find your benchmark for automated email engagement. Monitor this over time to see what's working and what's not, and use that data to improve future automated emails. Is the email catered to the right stage of the Buyer's Journey? Is it the right timing? Is it the right frequency? Are you sending too many/too few emails? Do you have a strong, compelling headline? Will the contact find the content interesting and relevant? Have you taken a subtle approach to getting your contacts to download your content or is it too sales-y? Make sure your workflows actually do move contacts through this journey. Once you and your marketing team have collated data about your prospects and leads, it's time to turn that over to the sales staff so they can close the deal and convert these potential customers into actual customers. 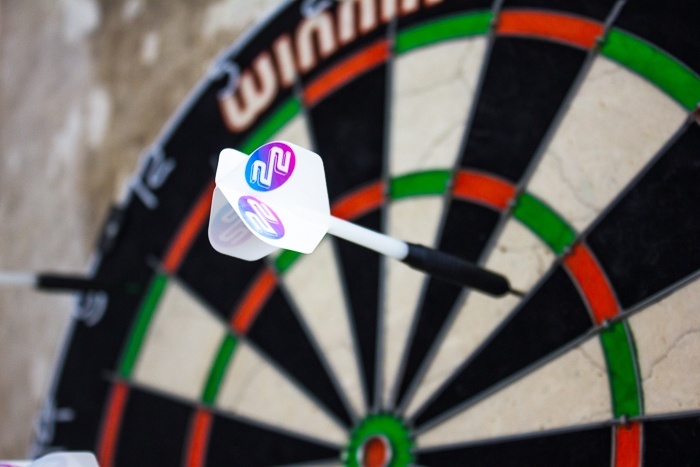 Ensure that your marketing team and the sales team have agreed on a way you can accurately measure how well you're doing at handing over qualified leads. And agree on how many you need to deliver a month. This is important because without having a metric that you can measure and monitor, there's little way you'll be able to get accurate data on how well you're actually doing. And if you don't know that, it'll be difficult for your team to improve and perfect your marketing tactics. No-one wants to support a marketing tactic that's losing the company money, so ensure that you're tracking the right KPIs in order to make adjustments to your strategies and budgets. Sales revenue, leads and cost per acquisition are the most obvious KPIs to follow, but there are a number of other metrics that can help you execute a more successful campaign and improve your inbound marketing efforts overall. Want to Get Even More Out of Your Inbound Marketing Strategy? Knowing which marketing KPIs to track goes a long way towards creating the ideal inbound marketing strategy, but there's still much more you need to know. For example, it's important that your business is using the right marketing platform. Our Marketing Automation Comparison Guide pits four of the most popular platforms against each other, weighing up their pros and cons so you can see which one is the best for you and your business needs. HubSpot vs InfusionSoft: Which is Best for Inbound?